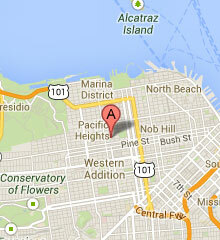 Dr. Cindy A. Grijalva was born and raised in Southern California. She attended her undergraduate at UC Los Angeles and earned her medical degree from UC San Francisco. While in medical school, she also obtained a Masters in Public Health from UC Berkeley. She completed her residency at Stanford University in 1998 and was selected administrative chief resident. 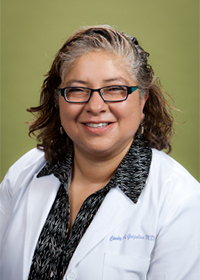 Dr. Grijalva joined Pacific Gynecology and Obstetrics Medical group in 1998. She enjoys her practice of high-risk obstetrics, gynecology, fertility and well woman care. She especially enjoys seeing patients even before they try to become pregnant (pre-conceptional care) to try to optimize their fertility and have healthy pregnancies. She considers it a great joy and privilege to be able to work with women as they start to create and expand their families. She is also happy to be able to have excellent, long-term relationships with her patients based on dialogue, respect, and empowering education. Dr. Grijalva’s parents immigrated from Ecuador, South America. As the daughter of immigrant parents she is passionate about education for her patients and all children. She participates on the Marin Horizon School Board, Marin Horizon Diversity Committee, and CPMC Executive Committee. Dr. Grijalva is also a past member of CPMC Breastfeeding Committee. She married with two young, active sons and enjoys reading, loves soccer, travel and the outdoors. Dr. Grijalva is fluent in English and Spanish. I have excellent long-term relationships with my patients based on dialogue, respect, and empowering education.